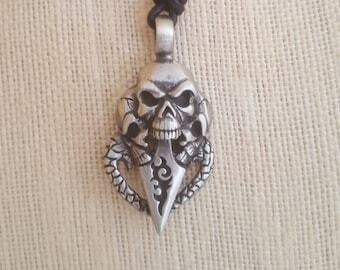 Adjustable Corded necklace for men or women. Wear it long at approx. 27 inches or short at 15 inches. 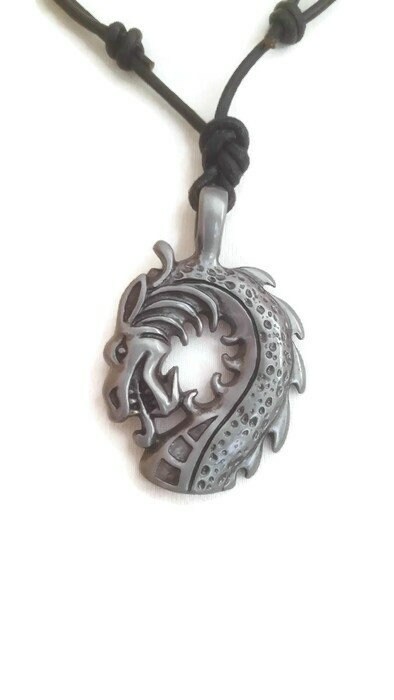 The dragon head pendant including the cord loop is 2 inches long and approx. 1 1/2 inches wide. Thank you for looking. Please make sure to favorite my shop to be notified when I list new products and have sales. If you have any questions please click "Ask a Question" up near the top. Smile a little, Laugh A LOT! !